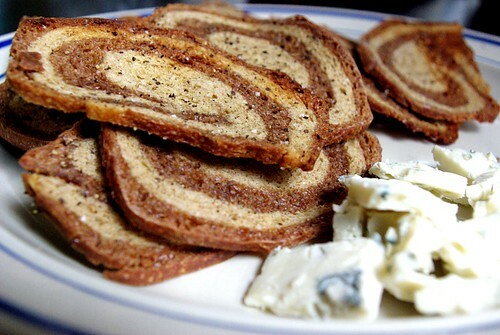 kosher salt and rice vinegar marble rye crisps, originally uploaded by aarn! +29th June, 2009+. singe side, then pulled and let cool on a rack until crisp. served with a few different topping options/combos blue cheese, some thinly-sliced vidalia onion, and black currant jam.